Paulo Dybala might not have netted as many times as he did the previous season for Juventus, but his value in the Juventus set-up remains the same in the eyes of the manager Massimiliano Allegri. Dybala was the central figure in Juventus’ campaign in Serie A 2017-18, but this time around, it’s been Cristiano Ronaldo who has taken that place as the Portuguese superstar has hardly taken any time to find his feet at the new club and is delivering straightaway. According to the draftkings sportsbook app, Cristiano Ronaldo is now odds-on to finish the Serie A season as the 'capo-cannoniere' (or top goal scorer), following in Dybala's footsteps. Dybala, on the other hand, has not been in great goal scoring form, but Allegri doesn’t think that the 25-year old is playing badly. According to Allegri, the good thing for him is that the three players in the offensive line, which includes Dybala apart from Ronaldo and Mandzukic, have developed a fantastic coordination and even if Dybala is not netting, he is helping the other two to find the back of the net and that’s what matters at the end of the day because it’s a team game. Allegri insists that it’s vital that a link is created between the offensive line and the players in the centre of the pitch and Dybala is doing that role perfectly as he is creating that link. Allegri reckons the Argentinean has developed further as a player this season unlike a few people who believe he has gone down. 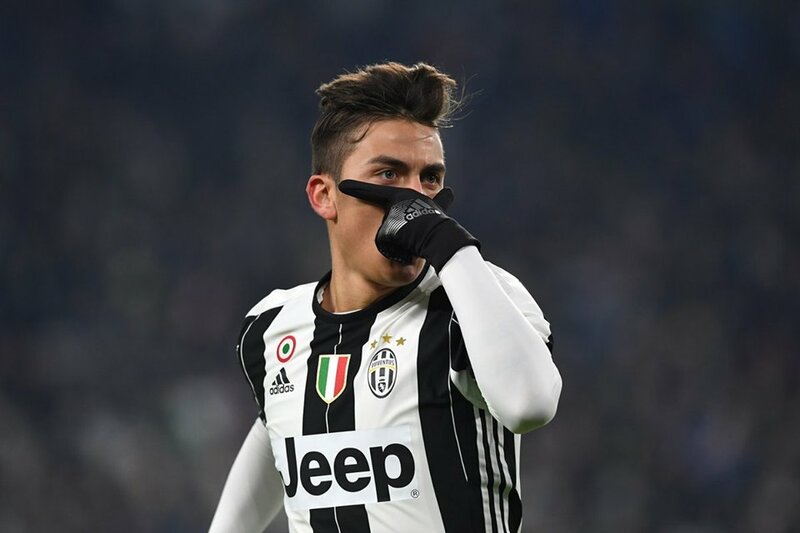 “It is true he is scoring less, but on the other hand, he is linking midfielders and strikers.” Allegri was quoted saying about Dybala by Goal.com. “He is growing a lot from this point of view and for us he is very important because then the team benefits from him.” Allegri added. Dybala, in total, has featured in 109 Serie A matches for Juventus so far and has netted 54 times. Juventus look all set to retain their Serie A title, with Napoli the only team within 10 points of them, even at this early stage of the season. Whilst the likes of Barcelona, Real Madrid and Bayern have all struggled for form at the start of the season, with many pundits blaming the World Cup, Juventus hit the ground with all guns blazing, and looking every bit like they might go one better than losing Finalists in the Champions League this year.